Helena Hauff - Qualm. Vinyl LP, CD. Bleep. Helena Hauff cracks through the ice with Qualm, her new album for Ninja Tune. 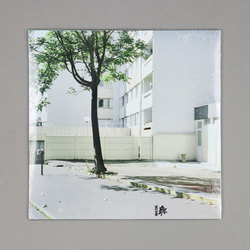 Titled after the German word “Qualm” (kvalm) which translates as fumes or smoke, this murky feeling runs through the album’s intended lo-fi production quality and translates Hauff’s sound as electro with an uneasy feeling of doubt, worry, and fear, especially about one's own conduct. 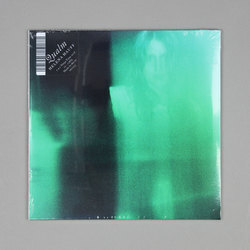 Widely regarded as one of the leading lights within the darkened expanse of modern EBM DJs and producers, Helena Hauff has consistently throughout her DJ sets and records created an entire universe of dystopian electro, acid and post-punk techno. 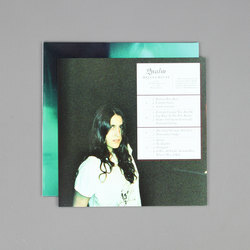 Having already racked up releases and mixes for PAN, Blackest Ever Black, Dark Entries, Bunker, and Werk, by this point in her career it would be easy for Helena Hauff to take a step back when locked in the studio and knock out ten or eleven tracks of crunchy loops and distorted acid b-lines. Yet Hauff does exactly the opposite, submerging herself in twelve tracks of raw electronics, that then emerge above ground to soundtrack your own street-level science fiction. 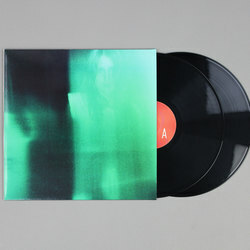 Having spent some proper time with Qualm, we'd say it’s probably the most cohesive and enjoyable record Helena Hauff has put out yet. Treating her productions with the same vigour as her extensive DJ sets, Hauff lays the blueprint for each track with a crushing drum beat that plays on while she searches out new and inventive ways to build up vast blocks of tightly built acidic electro, all put right by her modus operandi of jamming on her collection of machines. In her own words, Qualm is about “trying to create something powerful without using too many instruments and layers”.